The symbolism of the forget-me-not flower dates back to the 1300s in Britain. King Henry IV of England (1367 to 1413) adopted the forget-me-not as his emblem in 1398, when he went into exile. Evidently it brought him luck, for he returned to England in 1399, and retained the forget-me-not as his royal symbol. There were various English superstitions associated with the forget-me-not. In Somerset, it was believed that wearing the forget-me-not was protection against witches, especially during the month of May. It was the custom to present someone embarking on a journey with forget-me-nots. It was also said that the juice of the forget-me-not could enhance the sharpness of steel so that it could cut through stone. The Scottish poet William McGonagall (1825 to 1902) immortalized the forget-me-not in his poem of the same name. The poem recounts the tragic tale of a knight named Edwin and his betrothed bride, Ellen. One day, as they are walking by the waters’ edge, Ellen wonders aloud whether Edwin is true to her. As a sign of his fidelity, Edwin jumps into the water to pick for Ellen flowers growing on the other bank. He drowns in the process, but not before tossing the flowers to his beloved with the parting words, “Forget-me-not.” That’s what Ellen names the flowers. In 1949, the State of Alaska selected the forget-me-not as its official flower. This particular species is the Myosotis Alpestris or alpine forget-me-not. It is one of more than 50 different species of the forget-me-not flower, many of which are native to New Zealand, and have since become part of the landscapes of the United States, Europe and Asia, too. In 1978, President Jimmy Carter officially proclaimed National Grandparents Day, which was to be observed annually in the United States on the first Sunday after Labor Day. This was spearheaded by Marian McQuade (1917 to 2008), a homemaker in Fayette County, West Virginia. She launched a statewide campaign in 1970, and National Grandparents Day was officially adopted nationwide eight years later. McQuade’s objective was to honor grandparents everywhere and to bring about family unity through this family day that is celebrated with events in schools, churches and senior centers. 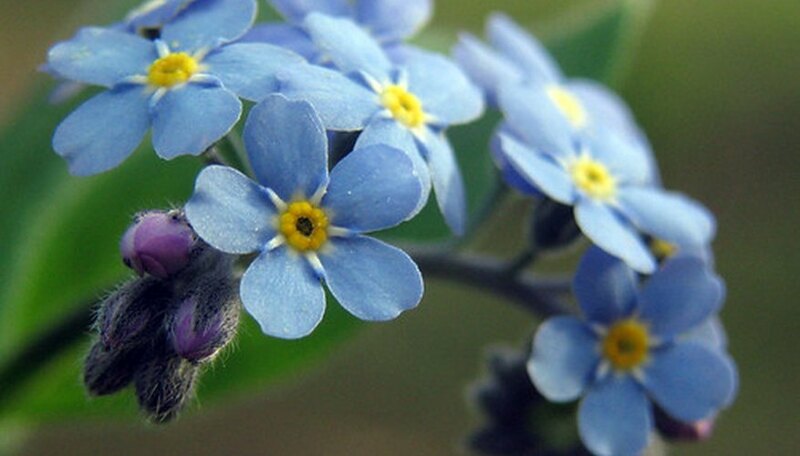 On April 20, 1999, the forget-me-not was adopted by resolution as the official flower of National Grandparents Day. Although it is not officially proclaimed, Forget-me-not Day is celebrated on Nov. 10 every year.